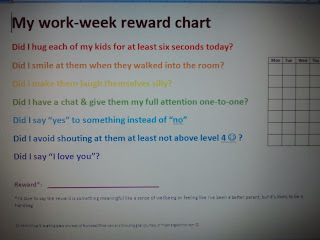 time with my kids is significantly lacking in quantity, so I wanted to find a way to make sure there is some quality. 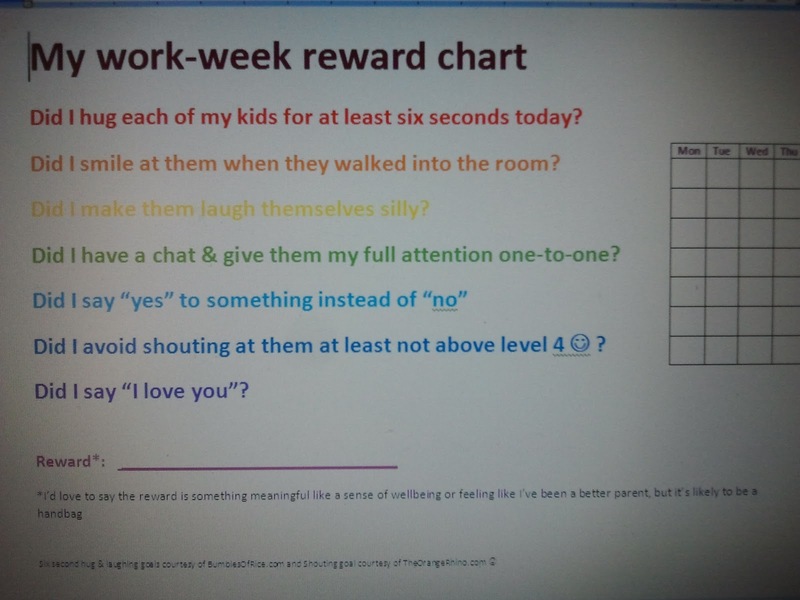 I like lists and ticking boxes, so decided to make my own reward chart. taking inspiration from a recent post about the Happiness Project on the Bumbles Of Rice blog and a little from the Orange Rhino I made a list of seven things I'd like to do each day, in order to be sure to pay attention to my smallies. It sounds ridiculous, but my worry is that I'm rushing around so much doing all of the tasks listed above, and not taking time to smile at my five year old, hug my three year old and tickle my 15 month old until he has us all rolling around with his infectious laugh.